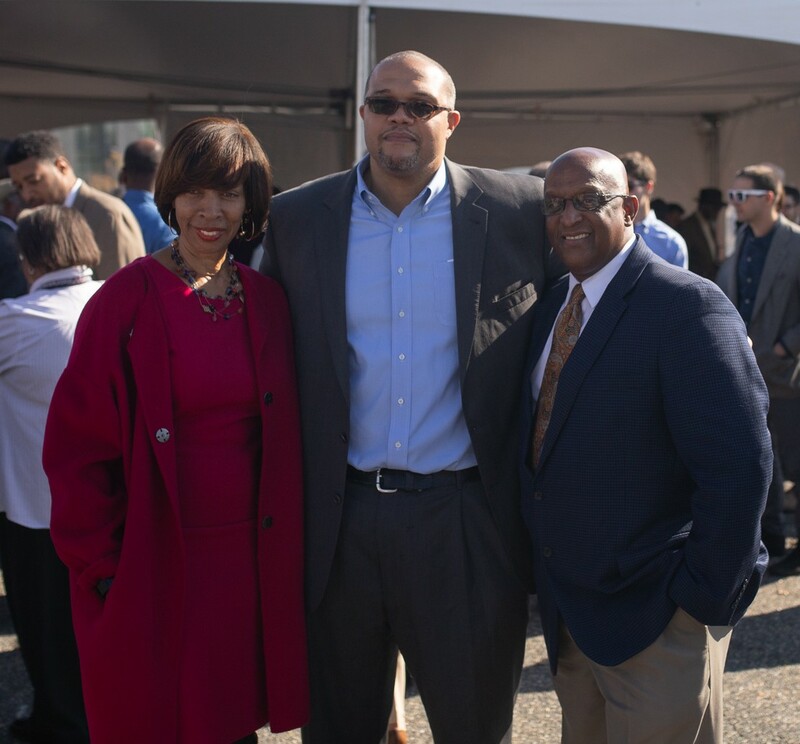 Baltimore, MD (November 1, 2018) – Developers held ground breaking ceremony on the $50 million redevelopment of the former Northwood Plaza Shopping Center, located adjacent to the Morgan State University campus at 1500 Havenwood Road in the Hillen, Original Northwood and New Northwood communities of Northeast Baltimore City. The project is being developed by a Joint Venture comprised of MCB Real Estate, MLR Partners and Northwood Shopping Center Partnership to develop Northwood Commons. 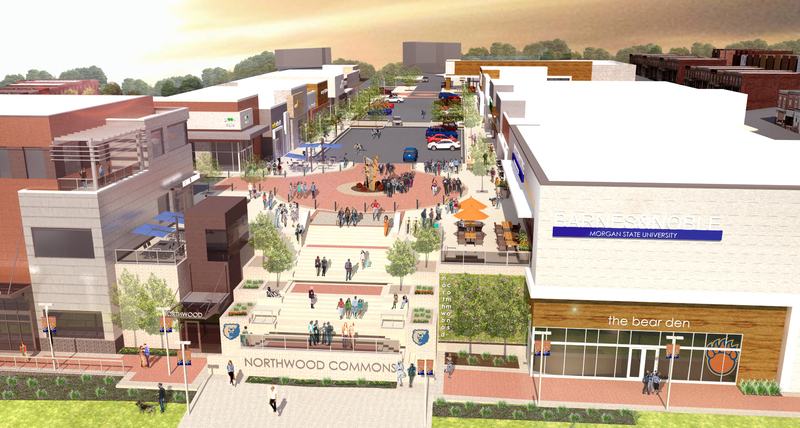 At the conclusion of two development phases, Northwood Commons will consist of more than 100,000 square feet of retail and restaurant space and an additional 20,000 square feet of office space. Phase I, consisting of approximately 90,000 square feet of retail and office space, is expected to deliver in second quarter 2020. Morgan State has signed a lease for 11,000 square feet of space within Northwood Commons to house a Barnes & Noble College bookstore serving Morgan State University students, faculty and visitors. The two-story structure will include a dedicated Starbucks Coffee shop; a café serving breakfast, lunch and dinner; merchandise and apparel sections; college textbooks and a Tech Zone. Additional tenants include McDonald’s, which will relocate to a pad site fronting Loch Raven Boulevard, as well as in-line leases with Wing Stop and Sunny’s Subs. 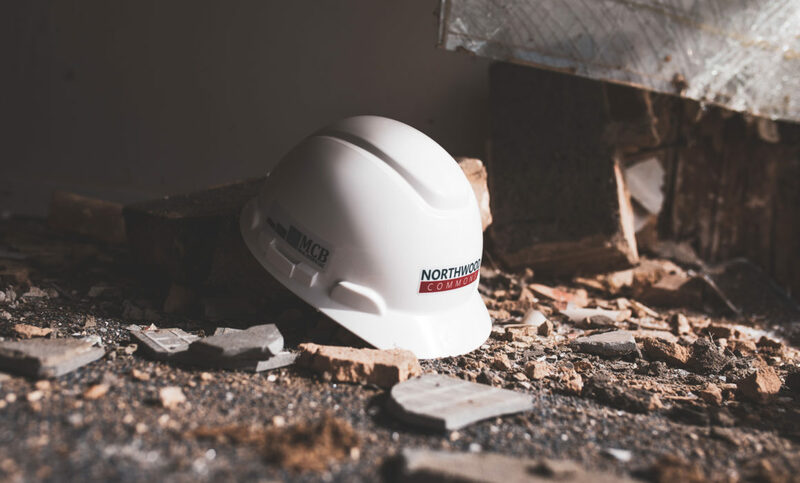 Phase I of Northwood Commons is configured to support 70,000 square feet of retail and restaurant space within three separate buildings and a 20,000 square foot office building that will house Morgan State University’s public safety department. Phase II of the development will be comprised of approximately 30,000 square feet of space with targeted end-users including a neighborhood grocery store. The balance of the leasing will consist of hard and soft goods users, including business and consumer services and fast-casual restaurants. The existing Northwood Plaza Shopping Center will be completely demolished within the next 18-24 months to make room for the new development. The project is positioned directly adjacent to Morgan State University’s 280,000 square foot Northwood Campus which includes the Earl G. Graves School of Business and Management and The Martin D. Jenkins Behavioral and Social Sciences Center. The project is expected to deliver in 2021. Nearly 21,000 vehicles pass Northwood Commons via Loch Raven Boulevard on a daily basis, with an additional nearly 10,000 driving by the site from Argonne Drive. Nearly 63,000 people reside within a 1.5 mile radius of Northwood Commons, including nearly 24,000 households with an average household income exceeding $63,000. The average daytime population is nearly 50,000 within a 1.5 mile radius of the site. More than 7,700 students are enrolled in Morgan State University and the school supports more than 4,000 jobs. The university recently released the results of a comprehensive study detailing the school’s $574 million impact within Baltimore and a nearly $1 billion impact on the State as a whole. Segall Group has been selected as the exclusive real estate brokerage firm for Northwood Commons with Andy Segall and Jonathan Garritt handling the retail leasing.